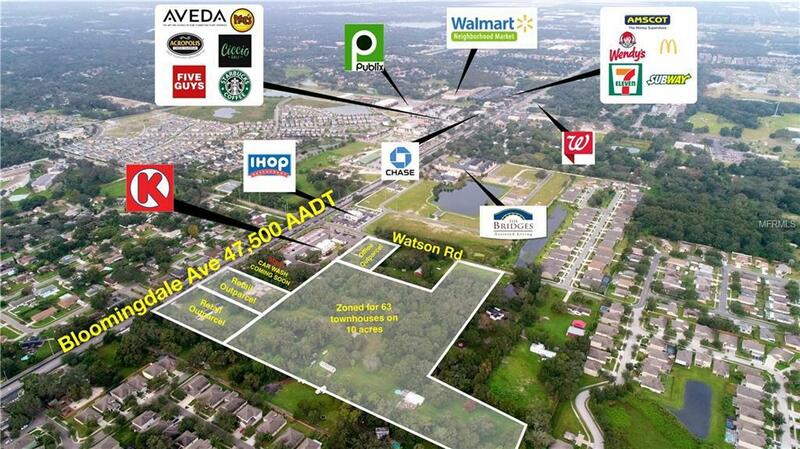 The property is ideally located at the signalized intersection of Bloomingdale Ave and Watson Road in the heart of Riverview, FL. The 2 acres on the corner was sold to Circle K for a new gas station and the parcel to the east of Circle K was sold for a car wash. The remainder of the property is zoned PD for commercial, office, and town-homes. The 10 acres in the rear are zoned for 63 townhouses. 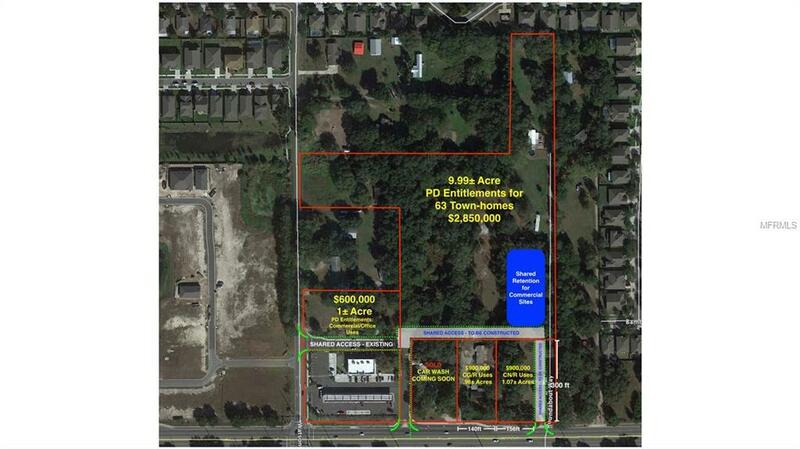 An additional 3 acres are available but would need to be rezoned into the PD for residential uses.